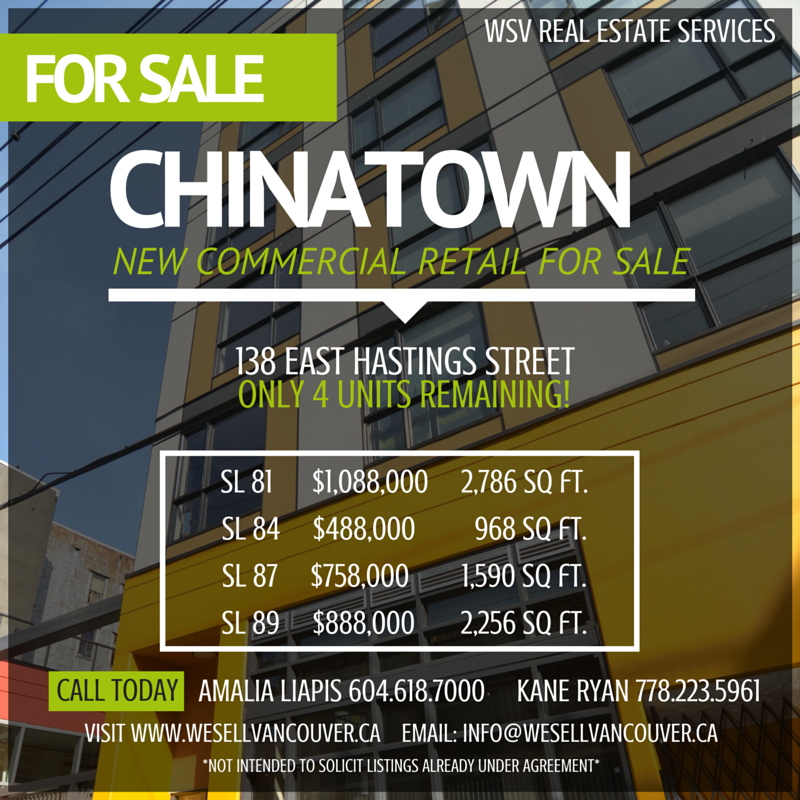 NOW is the time to invest in the revitalization of Historic Chinatown. We've got four brand new glass and concrete units available at amazing prices. These raw shell spaces come with both a main floor and mezzanine and are well suited for business owners and investors alike. These units enable operators to build to best suit their business. This new development is ideally located just west of Main Street in the Hastings Crossing District, a unique area defined by its historic character and ethnic diversity. It is located in a central area that is in walking distance to Gastown, Strathcona, Crosstown, Railtown, Downtown and the Waterfront. Contact either Amalia Liapis at 604.618.7000 or Kane Ryan at 778.223.5961 today for more details! Before diving into the statistics for the commercial real estate market in the Lower Mainland for 2015, let's back track and take a look at 2014. The Lower Mainland's commercial real estate market topped out at 1,963 sales allowing it to hit a five-year high in terms of the number and value of sales. The commercial real estate sales for 2014 were 4.4% above the region's five-year sales average totalling $6.086 billion in sales. Ray Harris, REBGV president stated, "[o]ur commercial real estate market was up in 2014 thanks in large part to increased demand for raw land transactions within the development and investor community. An increase in land transactions is often a signal of confidence in the market because it required a multi-year investment." Following in suit with the trend of growing sales in the area of raw land, an increase in raw land sales contributed to boosting commercial real estate totals for the first quarter of this year. Year over year, the commercial land sales has seen a significant increase in both number of sales and dollar value of sales. With the exception of the actual number of sales transactions in 2013, there have been continual increases from 2011 to 2014. Below you will find comparative data for the commercial land sales for the past four years. Stay tuned for our next blog post on the comparison of 2014 and 2015 first quarter commercial sales, broken down by category.